At Bob Oates Plumbing, Sewer & Rooter in Seattle, we work tirelessly to provide our customers in the entire greater Seattle Washington area with the most affordable trenchless pipe lining services. You can trust our locally owned and operated business because we specialize in the newest plumbing technologies that provide top-of-the-line service to each and every one of our customers. We guarantee reliable results at the best cost for you! 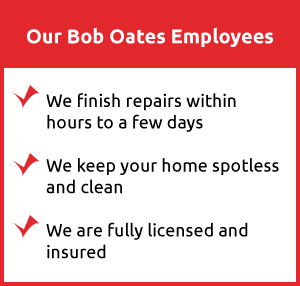 Our team at Bob Oates Plumbing, Sewer & Rooter is backed by our commitment to customer satisfaction through our investment in trenchless sewer drain pipe lining preparation and our highly experienced technicians available every day. Our friendly and attentive staff is always ready to assist you whether your home or business has scheduled service or an unexpected emergency. Customers can always count on us to provide professional and cautious trenchless pipe lining services that are environmentally friendly and do not break the bank; we are always here when you need us. Our trenchless pipe lining services are performed in a timely manner that ensures your satisfaction at every stage of the process. The pre-lining steps we utilize allow for the job to be done in the most effective way possible. The trenchless pipe lining process begins with a drain and sewer camera inspection and hydro jetting to prepare your pipes for lining. Our drain cleaning services are precise and efficient, and part of why this is possible is through drain and sewer camera inspections. They precede any drain service our team performs. Our team will dig a strategically placed hole that established connection to the pipe that will be serviced. The camera is attached to a flexible pole and then inserted into the pipe. The cameras we use are of the highest quality and will capture clear footage of the interior of your pipe as it moves through it. The camera will allow our technicians to see where the trouble areas are within your pipes like clogs, cracks, or leaks. We can also determine the age of your pipe through this process to help you keep track of your future pipe health. When we determine the exact problem and reason your pipes need to be lined, we will come up with the most affordable service for you. Before beginning the trenchless pipe lining process, your drains will need to be thoroughly cleaned to ensure last results. Hydro jetting is an innovative and environmentally friendly service that we use to clean your drains. Hydro jetting is a process where a hose with a special nozzle is inserted into your pipe – through the same access point our technicians used for the camera inspection. When the hose is properly inserted into the pipe, water is ejected through the hose and sprayed in all directions to clear all waste buildup and debris. The water pressure is incredibly powerful and forceful, but it is not so forceful that it negatively affects your pipes. The water pressure is carefully managed by our technicians, and this process offers a variety of benefits our Seattle customers can trust in. Our team at Bob Oates Plumbing, Sewer & Rooter understands that traditional dig-and-replace methods are not practical for the modern home and business owner. Not only does it cause unnecessary damage to commercial, residential, or municipal properties, but it inconveniences many in the process. Trenchless pipe lining is the most effective way to service pipelines in the Seattle area. Trenchless pipe lining is a quick and easy process that allows us to restore sewer lines without digging trenches through the ground to expose them. Our team inserts an inflatable sleeve coated with epoxy resin into the pipeline. When the sleeve is secured in place it is expanded, and the resin is forced to coat the walls of the pipe and cover the damaged areas assessed during the camera inspection process. For a few hours, the sleeve stays inflated while the resin is given time to cure and harden in place. After this is complete, the old pipe has been replaced with a new liner that is installed directly inside of the old pipe. While extremely reliable and versatile, it is important to understand that is it unable to fix situations where the pipeline has collapsed. For these cases, our team recommends trenchless pipe bursting. Trenchless pipe bursting is where a single bursting head is employed through a single access point. As the bursting head moves through the old pipe, it breaks it up and pushes it into the surrounding soil, replacing it with the new pipe. By utilizing bursting and replacing technologies at the same time, we save our customers time and money. Our careful attention to time guarantees that all of our customers can benefit from any pipe lining service they need. Due to the versatility and reliability of trenchless pipe lining, the cost to customers is always affordable but varies per customer. 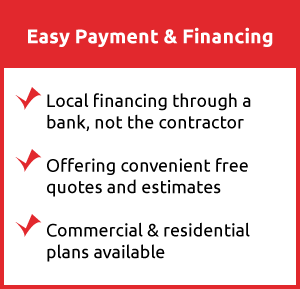 Each type of property we service is going to have its own cost based on its uniqueness whether it is a residential, commercial, or municipal structure. The cost of trenchless pipe lining typically ranges from $85 to $125 per foot. It can also range from $4,000 to $20,000 for standard sewer lengths. Our technicians take each point into careful account because no property is built the same. The cost of trenchless pipe lining takes into account the pre-lining steps like drain and sewer camera inspection and hydro jetting. At Bob Oates Plumbing, Sewer & Rooter, we guarantee the best priced trenchless service that fits your needs. 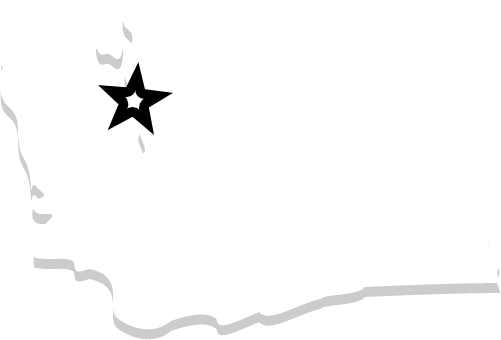 Bob Oates Plumbing, Sewer & Rooter is the source of Seattle, WA residents choose for reliable, affordable trenchless pipe lining services. Whether you have a crack, leak, or other reoccurring problem, our team made up of specialized technicians have the tools and experience to solve it fast. Call us today for assistance!